”Book” is a translation from the Greek word βίβλῳ (bibliō, Strong’s 976). Only those who overcome the sins of this world will be clothed in white raiment, and they will not risk getting their names blotted out of the book of life. It’s in the end of the ages where the Christians will get their new white clothes, and at that point they will no longer risk to get their names removed from the book of life – because they enter the kingdom of God and remain there for ever. Revelation 3:4 Thou hast a few names even in Sardis which have not defiled their garments; and they shall walk with me in white: for they are worthy.5 He that overcometh, the same shall be clothed in white raiment; and I will not blot out his name out of the book of life, but I will confess his name before my Father, and before his angels. Some people suggest that there are two books of life, and that the first book is a book into which everyone’s name is supposedly entered by default – the universal book of life. They suggest that the second book – ”The Lamb’s Book of Life”- is the book where only the true believers’ names are written and whose names will never be blotted out. The two-book proponents seem to reason that if a particular scripture passage speaks of names being added to the Book of Life, then this must be the Lamb’s Book of Life, but if a passage speaks of names being removed from the Book of Life, then surely it must be referring to the Universal Book of Life. Applying such selective reasoning is dishonest. If people end up in the Universal Book of Life by default at birth (or at conception? ), at which point will they be removed from this Universal Book of Life if they refuse to believe in Jesus Christ throughout their entire lives? Will they be removed as soon as they are adults (and remain unbelievers), and when exactly does this happen? And what if another person starts to believe in Jesus Christ when he is 50 years old. Does this mean he was in the Universal Book of Life the entire time before he turned 50, when he was also added in the Lamb’s Book of life? I suppose the two-book opponents couldn’t believe that a person can be removed from the Universal Book of Life at 15 (if he at this point refuses to accept Jesus as Savior) and then added again when he becomes a christian at age 50? The Bible does talk about books in plural that we will be judged by, but Daniel is referring to the books which record the deeds of every human being who has ever lived. Rev. 20:12 states that the dead are judged on the basis of the things written in the books which include their deeds, so these are not books of names but books of DEEDS, and these books of deeds are distinct from another book (singular) which in the same passage is called the Book of Life. If there are indeed two Books of Life, then it might have been helpful to know which one was being opened here – the book of the true believers, or the universal book of life? In reality, no such distinction needs to be made because there is only one book of life. Revelation 20:11 And I saw a great white throne, and him that sat on it, from whose face the earth and the heaven fled away; and there was found no place for them.12 And I saw the dead, small and great, stand before God; and the books were opened: AND ANOTHER BOOK was opened, which is the book of life: and the dead were judged out of those things which were written in the books, according to their works. 13And the sea gave up the dead which were in it; and death and hell delivered up the dead which were in them: and they were judged every man according to their works. 14And death and hell were cast into the lake of fire. This is the second death. 15And whosoever was not found written in the BOOK OF LIFE was cast into the lake of fire. Also Moses seems to believe there is only one book of life, because he refers to it as ”thy book which thou hast written”, and God lets Moses know that each person is responsible for his own entry in that book. God refuses to accept Moses’ ”blotting out” as a substitutionary offering for the sin of the people. Exodus 32:30 And it came to pass on the morrow, that Moses said unto the people, Ye have sinned a great sin: and now I will go up unto the Lord; peradventure I shall make an atonement for your sin.31 And Moses returned unto the Lord, and said, Oh, this people have sinned a great sin, and have made them gods of gold. 32 Yet now, if thou wilt forgive their sin — and if not, blot me, I pray thee, out of thy book which thou hast written. 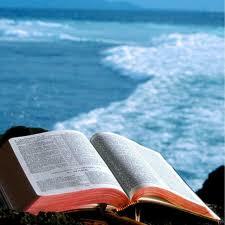 33 And the LORD said unto Moses, Whosoever hath sinned against me, him will I blot out of my book. If people are automatically included in the universal book of life, it wouldn’t be a big deal if also Clement and Paul’s other coworkers had their names there too along with every one else – so why even mention it? Philippians 4:2 I beseech Euodias, and beseech Syntyche, that they be of the same mind in the Lord. And I entreat thee also, true yoke-fellow, help those women which labored with me in the gospel, with Clement also, and with other my fellowlabourers, whose names are in the book of life. Below is the only place, apart from Rev. 21:27, where the term ”The Book of Life of the Lamb” appears. It’s rather natural that the book of life belongs to the lamb, so the extra detail ”of the lamb” (Jesus Christ) must not be taken as a sign of that it’s a completely different book than the already mentioned ”the book of life”. Jesus Christ is our Lord and Savior, and he will be judging all people according to their deeds. Compare the below passage with Rev. 17:8. Revelation 13:7 And it was given unto him to make war with the saints, and to overcome them: and power was given him over all kindreds, and tongues, and nations.8 And all that dwell upon the earth shall worship him, whose names are not written in the book of life of the Lamb slain from the foundation of the world.9 After this I beheld, and, lo, a great multitude, which no man could number, of all nations, and kindreds, and people, and tongues, stood before the throne, and before the Lamb, clothed with white robes, and palms in their hands;10 And cried with a loud voice, saying, Salvation to our God which sitteth upon the throne, and unto the Lamb. Maybe Rev. 17:8 is the passage that is most commonly used as an attempt to support a universal book of life, since we can read ”the book of life from the foundation of the world”, but it’s the BOOK that is from the foundation of the world and not necessarily the names in it (before man even started to spread on earth). Word for word from the Greek it’s ”the names in the book of life from foundation of world”. Furthermore, it seems like ”the book of life of the lamb” in Rev. 13:8 is the same book as the one below in Rev. 17:8, even if the term there is only ”the book of life”, because both places talk about people who are not included in this book, and who are amazed (wonder, marvel) over this beast and even worship it. We can read about ”the foundation of the world” in both accounts, and even a clarification in Rev. 13:8, that it’s the lamb that is slaughtered from the foundation of the world. If you don’t have your name in the book of life, you will ultimately be thrown in the lake of fire and that is true both when it comes to the book of life as well as the lamb’s book of life. Again, we are likely talking about the same book. Revelation 20:1515 And whosoever was not found written in the book of life was cast into the lake of fire. If a person could never lose his salvation, then he could absolutely afford to both add and delete things from the Book of Life and still get away with it, but clearly that would be a false assurance. A person can be disallowed from getting his promised PART of the Book of Life and OUT OF THE HOLY CITY, despite that he had an opportunity to receive such blessings to start with. Revelation 22:18For I testify unto every man that heareth the words of the prophecy of this book, If any man shall add unto these things, God shall add unto him the plagues that are written in this book: 19And if any man shall take away from the words of the book of this prophecy, God shall take away his part out of the book of life, and out of the holy city, and from the things which are written in this book. Why would God need two books with names, and why would a universal book of life be referred to as the book of life and confuse honest Bible readers? It doesn’t make sense for God to automatically include people in a universal book of life despite knowing that he would he removing some of these names at a later occasion. It makes a lot more sense to have an opportunity to be included in the book of life (through repentance, faith and obedience) and also to risk deletion if we choose to live in sin. Ps. 69:28 Let them be blotted out of the book of the living, and not be written with the righteous. This verse cannot be compared with the verses of the book of life in Revelations, partly because it is a translation from Hebrew, and partly because we have to take into account that the book of Psalms often contains truths expressed in poetry, songs, parables, hyperboles etc. Still, this psalm confirms the picture of losing previous rights. In psalm 69 we can see David urgently praying for his safety to God, with many ”Let them …” and ”Let me …”, and he is speaking about his present situation and the distant future. David is concerned about his enemies who are working against everything that is good. He might have the picture of the civil lists of registers of the Jews in mind, and his feeling that his unrighteous enemies should not have the same rights as the righteous (Ez. 13:9, Jer. 22:30). At one point Jewish individuals and families were written in, but they could also be removed which normally occurred when they died. This system was evidently not about eternal souls but concerned the rights among the Jews living on earth. Do read more about the the house of Israel in the Bible. We can also read about the ”tree of life” of course, and that’s the tree that we found in Eden and which we will also find in God’s new Jerusalem. Revelation 22:2 In the midst of the street of it, and on either side of the river, was there the tree of life, which bare twelve manner of fruits, and yielded her fruit every month: and the leaves of the tree were for the healing of the nations.—14 Blessed are they that do his commandments, that they may have right to the tree of life, and may enter in through the gates into the city.